As the new school year is getting underway, superintendents across Arkansas are receiving an invitation in the mail to partner their school districts with Economics Arkansas. We hope for a record response this year, with more superintendents than before completing and returning the agreement, along with the professional development fee. Why partner with Economics Arkansas? Benefits include customized training for your school districts, priority notice of upcoming workshops and conferences, refunds of registration fees for teachers, and in-depth training to meet Arkansas History and Technology requirements. All lessons and activities are correlated to Common Core Standards, standards based and reflective of best practices. To view our Professional Development opportunities for partner school districts, click here. Throughout the year, Economics Arkansas staff and METs host a variety of K-12 workshops and in-service training, including our best known project-based educational tool, the Stock Market Game program, and the new high school economics curriculum. We are certified by the Arkansas Department of Education. We would like to express our appreciation to Dr. Kieth Williams, Bald Knob District superintendent and EA Board president, for advocating the Economics Arkansas/School District partnerships. Thank you. 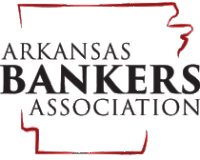 Partner with Economics Arkansas today! For a copy of the invitation, click here. For a copy of the agreement, click here.